This event is supported by the German Consulate in Rio de Janeiro, the Goethe Institute in Rio de Janeiro, as well as the ‘Escola Alemã Corcovado’ - Deutsche Schule Rio de Janeiro’ (German School Corcovado – Rio de Janeiro German School), and the ‘Sociedade de Beneficência Humboldt’ (Humboldt Charity Society) which maintains the ‘Colégio Cruzeiro’ (Cruzeiro College) and the ‘Retiro Humboldt’ (Humboldt Retreat). RIO DE JANEIRO, BRAZIL – This Saturday, October 6th, ‘Parque das Ruinas’ (Park of Ruins) in Santa Teresa will be hosting the ‘Festa da Alemanha’ (German Festival) with plenty of food, drink, and activities for all the family. 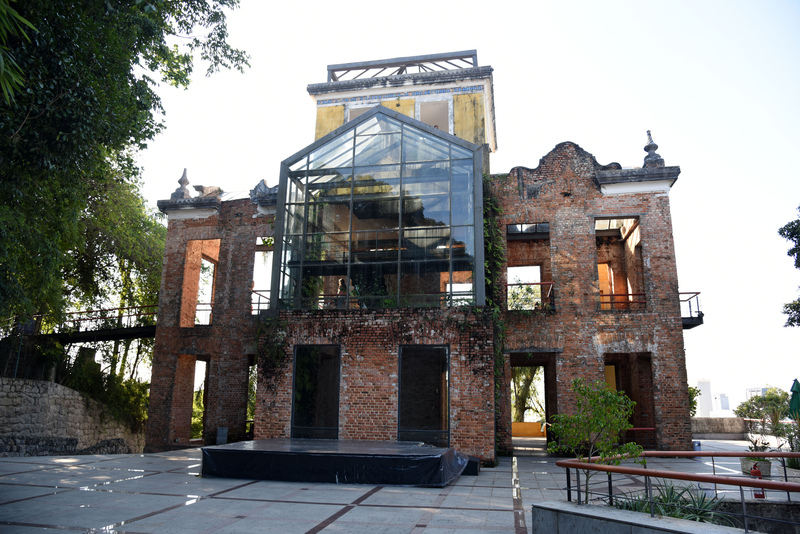 The festival will be held at the beautiful ‘Parque das Ruinas’ (Park of Ruins) in Rio’s hillside neighborhood of Santa Teresa, photo internet reproduction. The festival will include a gastronomic fair with authentic German cuisine, a film show, a photographic exhibition, some fun and interactive German classes, musical presentations, a DJ, a puppet theater, and drawing workshops for children, among other activities. At 10AM the festival will open its doors, with children’s face painting with students from Cruzeiro College. Then, at 10:30AM, it will be time for ‘Grupo Tapetes Contadores de Histórias: A Rainha das Cores’ (Group Rugs Storytellers: The Queen of Colors). The Queen of Colors is a story by the German author Jutta Bauer, who gives personality to the colors by making them into characters that live inside a temperamental queen; this story is perfect for children of all ages who wish to learn about the importance of dialogue and listening to one another. At both 11AM and 12AM there will be drawing workshops for children. Then, from 1PM-3:15PM, this is going to be an exhibition of German short films. The short films that will be shown include the Oscar-winning animation ‘Balance’ by Christoph and Wolfgang Lauenstein; ‘Schwartzfahrer’ (Black Rider) – a film about racism by Pepe Danquart; ‘Quest’ by Tyron Montgomery; ‘Trocos’ by Marc-Andreas Bochert; ‘I Want to Be’ by Florian Gallenberger; and many more. 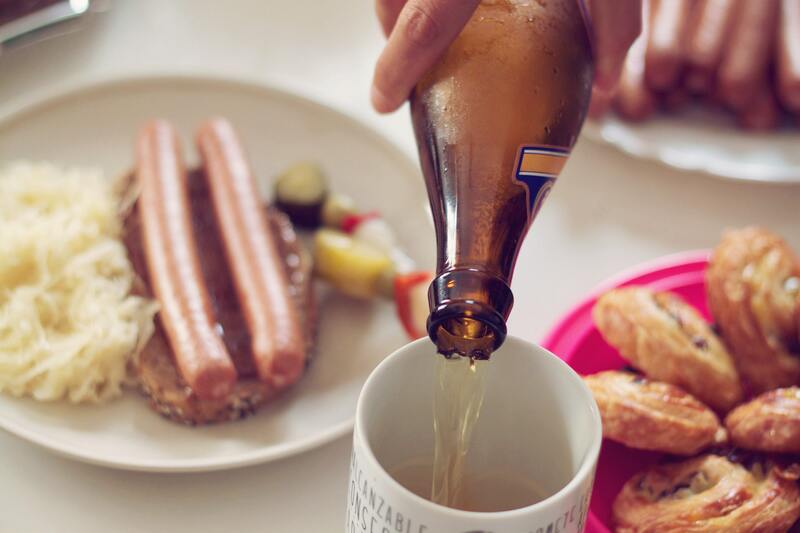 Food and drink will come courtesy of BerlinerHaus, Schatzi, Currywurst 21 RJ, Dufte Padaria Alemã, Il Picollo Biergarten, Jacobinus Brasil, Adega do Pimenta, Czech It Out, Wursteria, and Hallo Rio, photo internet reproduction. Following the film showings will be another children’s drawing workshop at 2PM. There will also be another workshop with the German School Corcovado running concurrently. At 2:15PM the ‘Papa Vento Teatro de Bonecos’ (Papa Vento Doll Theater) will present their puppet-show ‘Chapeuzinho Vermelho’ (Little Red Riding Hood). Following on from the puppet show, there will be another drawing workshop for budding young artists at 3PM, plus a presentation by the Corcovado Orchestra. At 4:30PM guests will have a chance to hear from Brazilian alumni of DAAD ‘Deutscher Akademischer Austauschdienst’ (German Academic Exchange) the largest German organisation for international academic co-operation, discussing their experiences of studying in Germany. If the day couldn’t get more varied and exciting, at 4:30PM there will be a chance to see the award-winning German play ‘E agora: o mundo!’ (And now: the world!). Tickets are R$5 per person and there will be special transportation by van to the theater in Glória. For those staying at the festival, there will be a presentation from the choir ‘Uma Só Voz’ (Only One Voice) at 4:30PM followed by a performance from the student choir from Cruzeiro College at 4:45PM. Those wishing to attend should take note of an announcement on the facebook event page stating that in case of rain (which is currently likely) the festival may be postponed.